Visit G3's SpadeTECH Elle Shovel page. G3 Avalanche Safety Spadetech Elle 3112. Then G3 noticed women gravitating to this shovel. Of course The compact design fits easily into a women's proportionally smaller pack. The reduced size of the blade allows women to move snow with technique rather than brute strength. G3 added a splash of colour along with their WOMEN'S COLLECTION signature artwork and created a new shovel; the SpadeTECH elle. It's the perfect match for the women who use it; sleek stylish and strong. For women looking for a lighter, more compact shovel to use in the backcountry, the G3 Women's SpadeTech Elle Shovel gets the job done with a bit more finesse. For most women, more efficient shoveling techniques make up for a lack of oxen-level strength when digging pits or practicing burial excavations. With the SpadeTech Elle's smaller blade and plastic T-handle, you can use these techniques with a shovel that fits your smaller frame and arm span. Durable aluminum lasts for years and punches through icy debris thanks to a curved blade and handle-to-blade design that transfers more power directly to the blade's tip. What makes the G3 Womens SpadeTECH Alpinist Elle Shovel gender specific? A fair question. How about a smaller blade designed to move snow with finesse instead of brute strength? Indeed. And a compact handle that fits better in a proportionally smaller pack? Sure. All this while maintaining a high strength-to-weight ratio? Yes, thats the ticket. Those features and a snazzy color makes the G3 Womens SpadeTECH Alpinist Elle Shovel the worlds first specially designed for her. 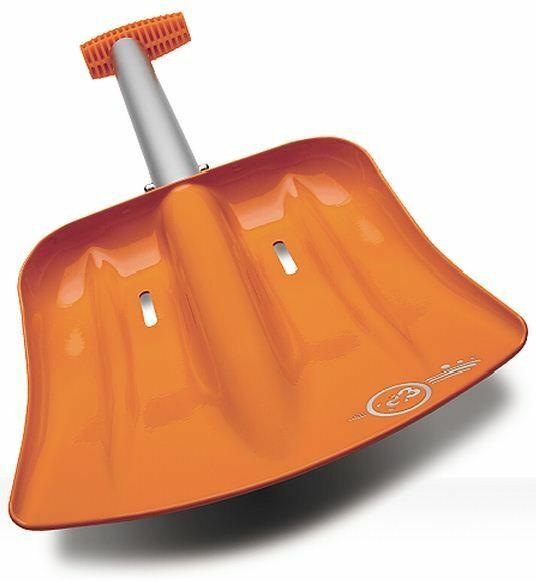 The G3 SpadeTECH Elle Shovel is not available from the stores we monitor. It was last seen January 12, 2018	at CampSaver.com.